Photo: Prospect trenches at the Silver Buddy Mine. 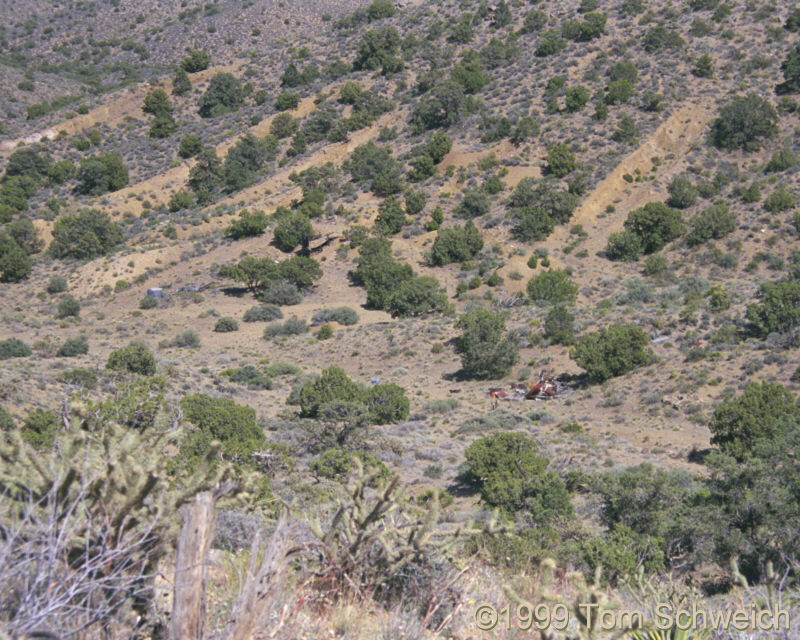 Eastern Mojave Vegetation Prospect trenches at the Silver Buddy Mine. These horrible gashes were made in the hillside by the miners when they were prospecting at the Silver Buddy Mine. They were probably made by a caterpillar tractor in a few hours, but will require many more years to heal. Wild Horse Canyon Road - Mojave National Preserve: at Silver Buddy Mine.